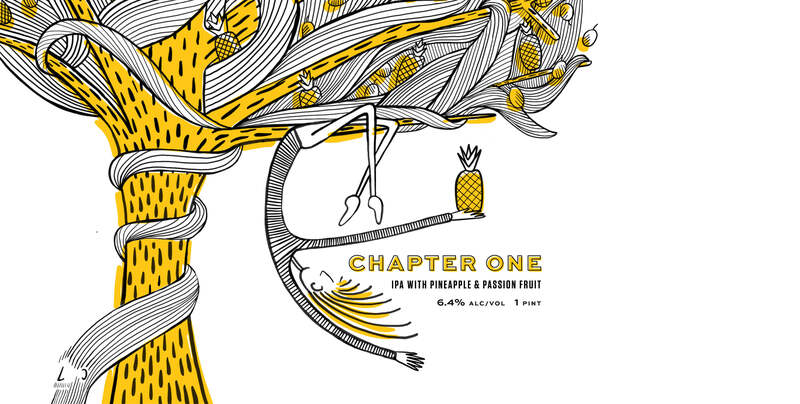 Chapter One - Lamplighter Brewing Co.
A fruited IPA brewed with pineapple and passion fruit. Chapter One is our first foray into the world of fruited IPAs. Juicy, hoppy, and exceptionally hazy, this ale balances the best of the New England-style IPA tradition with a unique twist. Its creamy body quenches and drenches the palate with tropical flavor; Galaxy hops enrich aromas of musky passionfruit while Chinook’s pithy bite complements the sweetness of fresh pineapple. Like the beginning of any great adventure, Chapter One bridges the exotic with the familiar.